Now for something fun! 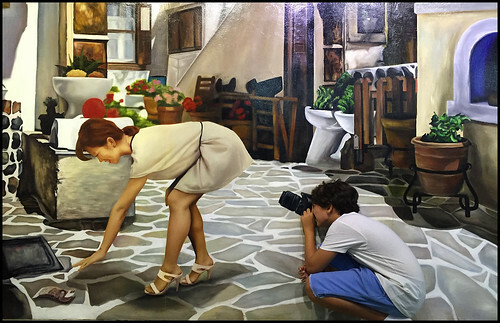 The Trickeye Museum opened in Phuket Town a couple of years ago, but this was my first visit. 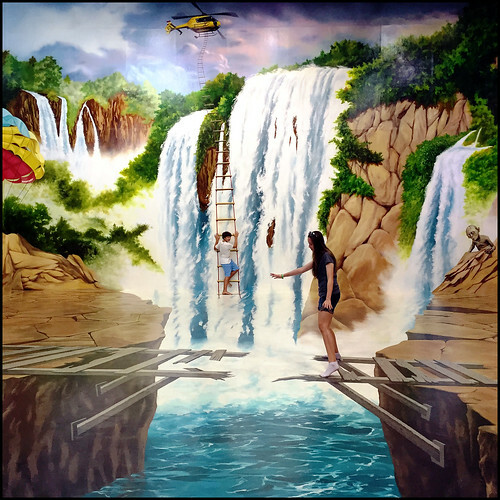 My wife and kids had been before and we all visited one of these 3D art gallery places in Hua Hin last year, which we enjoyed. 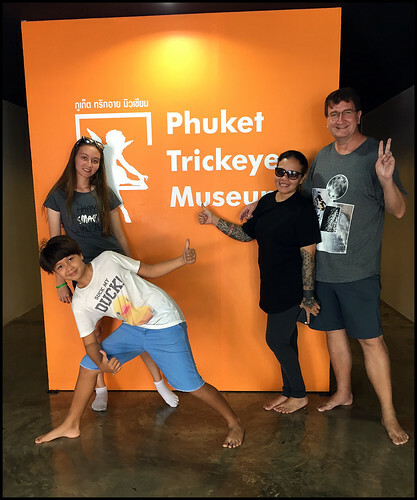 What is the Phuket Trickeye Museum? Well, it's a big building full of art painted so that from certain angles it looks kind of 3D, if you take a photo from the right angle. Not a museum at all. 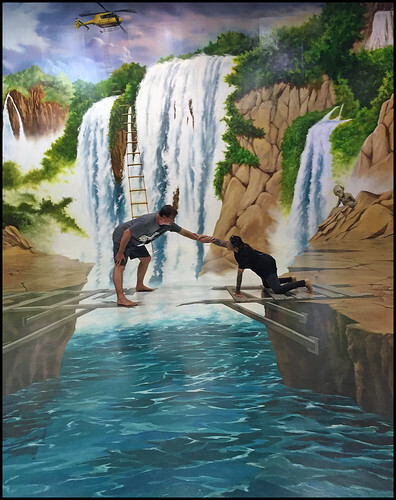 The paintings are interactive - you put yourself in the right place in the scene and snap photos - it's something designed for the iPhone age. Take a photo, post to Facebook, Snapchat, Twitter, whatever takes your fancy. There is no point coming without a camera! Certainly a bit of fun for the family. 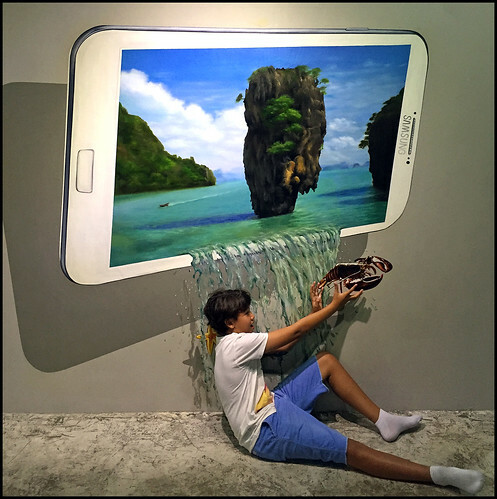 I first saw one of these places online a few years back called 'Art in Paradise' which was in Pattaya, and it looked interesting. Should have got round to visiting ages ago! Anyway, last Saturday (January 30th) we made a plan, and headed into Phuket Town about 11:30am. It opens every day from 10am - 7pm. I was expecting some crowds, but it was very quiet - I imagine if they'd put this in Patong it would be packed. 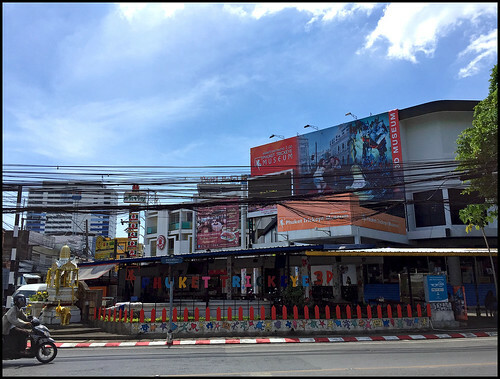 Trickeye is located at the corner of Montree and Phang Nga roads next to the Pearl Hotel. (above) Trickeye from the road. It's close to the old town. Easy to visit if you stay in Phuket Town, or if doing a little exploration in old town. Maybe combine with a half day old town tour, a trip up Rang Hill, a visit to the Thai Hua history museum .. actually there's too much in Phuket Town for 1 day really! Ideal for a rainy day to escape the rain, or a hot day to escape the heat (it's all airconditioned). 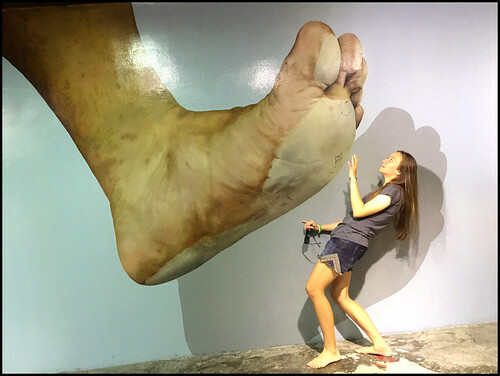 Entrance fee is 500 Baht for adults or 300 Baht for kids over 130cm tall. There is a discount for Thai people and also for foreigners living in Thailand (be ready to show a Thai driving licence or work permit). You have to remove shoes and do note that the floors are quite slippery in places. Tell kids not to run if wearing socks! Right inside the entrance is the first piece of art - old Phuket Town with added volcanic activity. 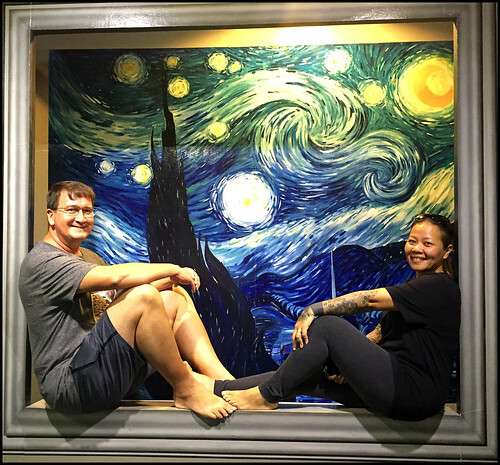 We had a girl called Ya walking around with us - very helpful staff here - they help to show you how to take the photos from the right place (sometimes it's not obvious) and will take photos for you, like the one below - a lovely couple on a starry, starry night. Inside, Trickeye is bigger than I thought it would be, with 2 floors and paintings on every wall. From the entrance you head upstairs and there's a view of a big painting below that we'll see again later. Quite impressive. We took more photos than can be shown here - there are some more on Flickr. We certainly enjoyed our visit. 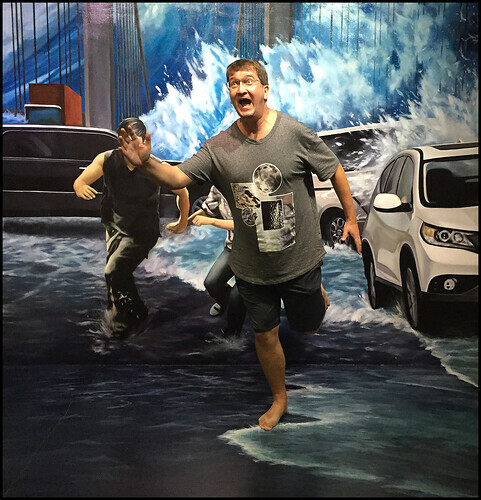 If you are in Phuket Town, it's worth a look if you're a fun, slightly silly photo snapping kind of person! 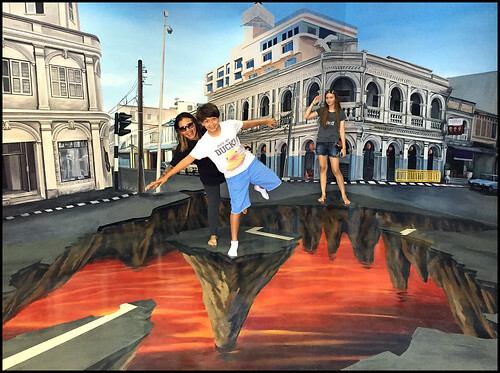 Best for families, something fun for the kids after a walk around the streets of old town!